The Hidalgo County Sheriff's Office this image of the man who is wanted for the robbery of several convenience stores in Western Hidalgo County. Sheriff’s investigators are asking for the public’s help to locate an aggravated robbery suspect accused of targeting multiple drive-thru convenience stores in western Hidalgo County. The man is described as heavyset and in his mid-30s with a mustache and dark-colored hair, according to a Hidalgo County Sheriff’s Office news release. He wore a cap, pantyhose over his face and carried a gray or black handgun during the robberies. 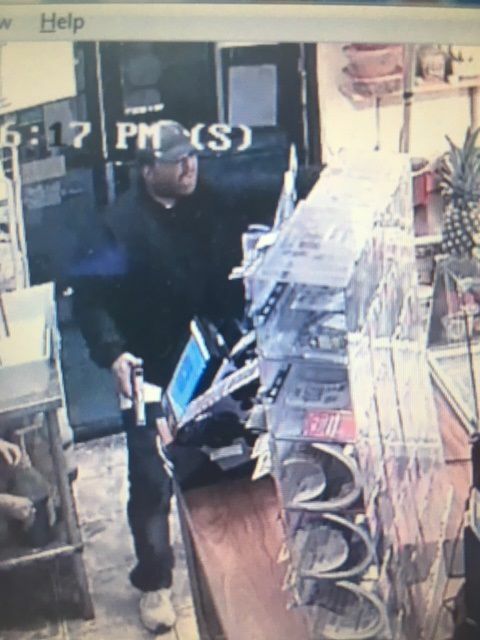 He most recently robbed JJ’s Southern Express Corner Store in rural Palmview on April 20 around 10:44 p.m., according to the release, and took approximately $1,114 before fleeing on foot. Investigators believe he is targeting stores with female clerks, according to the release. Anyone with information about these incidents is asked to call the sheriff’s Criminal Investigations Division at (956) 383-8114, the anonymous Hidalgo County Crime Stoppers hotline at (956) 668-8477 or the Mission, Palmview or Penitas Police Departments.